I’ve read Helen Fitzgerald before and reviewed her books here and here. 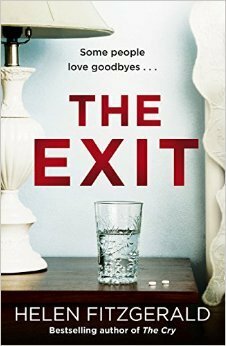 I really enjoy the author’s style and when I saw The Exit on NetGalley, I had to request it, and was delighted to be approved for it. Catherine is a self absorbed, fun loving girl in her early twenties. The only things that interest her are night-outs, parties and shopping, much to her super efficient, charity-running mother’s despair. 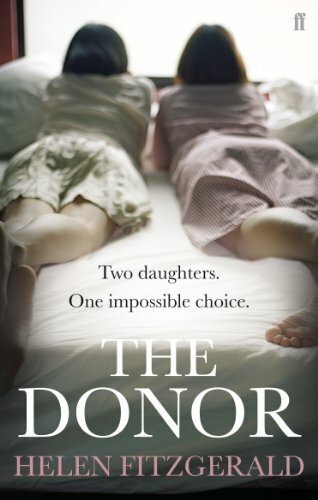 Catherine has run up a huge debit card debt and the only way out is to at least make a tiny bit of effort to get the job her mother has lined up for her, at a care home. It is another story that Catherine isn’t very interested in caring or in old people, but she doesn’t have much of an option. She soon discovers that her work place isn’t what it seems to be. Rose, an 82 year old resident is convinced that there is something evil going on. Rose is a dementia patient. Rose is also the only patient, Catherine can seem to bond with, at some level. Of course, it helps when Rose slips her £1000 to deliver messages to her grandson and her old care worker. Rose’s fears sound like crazy ravings of a lost mind. Given that Rose suffers from dementia, someone who can’t remember her true age at times, or can forget what she said minutes ago, can she be taken seriously? But what if Rose’s fears were genuine, and something fishy is really going on? Catherine ends up investigating and opens up a can of worms. There is also the element of personal tragedy that Catherine goes through, which ends up, understandably, making her less self obsessed. That part of the book, is heart-breaking to read. I wish I could say more, but to say more would be taking away from the twists in the tale. The sickness of minds that come not from illnesses but from perversions was well tackled and beautifully handled. It also shows how the most sick minds can be the most normal sort of people on the outside. Anybody, just anybody can be sick inside and come across as completely normal outside. That thought is very disturbing. An interesting book. Not as gripping as some of the other books of Fitzgerald, but yet a very good book. I particularly liked the way the book ended. The ambiguous ending worked very well for me. I also really liked the way the chapters where labelled. I’m not going to go into more details, go read the book! A 4/5 read for me. Helen FitzGerald is the second youngest of thirteen children. She grew up in the small town of Kilmore, Victoria, Australia, and studied English and History at the University of Melbourne. Via India and London, Helen came to Glasgow University where she completed a Diploma and Masters in Social Work. She works part time as a criminal justice social worker in Glasgow. She’s married to screenwriter Sergio Casci, and they have two children. I’ve read Helen Fitzgerald before and have really enjoyed her style of writing. This was another Kindle read. I’ve started to use my Kindle a lot these days. Amazon Daily Deals seem to have a lot to do with my Kindle collection, I have to say. Joanna is experiencing a parent’s worst nightmare. You know how when babies cry non stop and all you want to do is somehow make them stop. The only thing you want is to not hear them cry. What if that happens. And you realize to your absolute horror that the silence is permanent. And even worse that you might have done something to bring that about. Joanna and Alistair are a couple traveling to Australia with their nine weeks old son, Noah. Joanna is knackered handling Noah, through two long haul flights, while being ill herself with a ear infection. All she wants is some calm and may be a few winks. Noah seems to have other ideas and keeps her awake , tired and totally frazzled through the long, seemingly never ending trip. In Australia, an alert goes out for a missing baby, Noah. Joanna finally has quiet time that she yearned for but not quite what she asked for. For it is quiet but peace, that’s quite another story. Joanna and Alistair, rally around each other,initially while living through their nightmare. Joanna, alone, in a new country has to deal with accusations, lies, truths and reality that she had ignored so far. As days go by, Joanna is faced by a reality that refuses to go away. 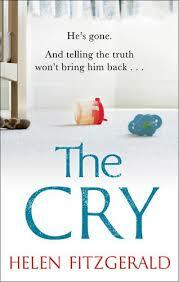 With all the pressure and emotional turmoil that she faces, she is edging close to losing her sanity. Her choices, her decisions come to haunt her, and she knows that only she can bring the situation to an end. A wonderfully written book. A book which you think is all cut and dried but reveals new surprises all through. The book also captures modern day dynamics, what with social media and press adding to the pressure that people go through in situations like this, when it gets so easy to spread rumours or even suss out the truth, whatever the case might be. The characters are well written, you feel for them, you experience their pain, and despair with them. All in all, a book that I am glad I picked up, and would definitely recommend. A 4/5 from me.